Welcome to the official South African degree website! The aim of this site is to give you all the information you need to study a degree course. Here you can read all about the importance of a college degree; where to study it and how to find work with it. A degree is extremely valuable; it increases your earning potential over a lifetime and has a high regard with employers so it is important to choose the right degree for you and your future. Being in the line to obtain a recognisable degree in your hand is one of the exciting honor at the graduation ceremony. Degree.co.za has its heart to motivate you to not just carry textbooks but to aim your achievement: a degree. 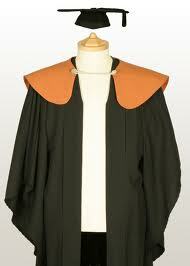 Picturing yourself to be clothed in one of the graduation uniforms? Degrees.co.za is another site to enable you to understand more about why a degree is the beginning of the end of your studies: be an admitted graduate. A recognizable degree speaks about you and for you. It speaks worth about your dreams. Degree.co.za recognises that you are going to have a win-win situation or approach, so have you thought of exploring the diploma (non-degree) courses that College SA has for you? A DEGREE IS THE BEGINNING OF THE END OF YOUR STUDIES AND IS THE END OF THE BEGINNING TO YOUR DREAM!